FundYourselfNow (FYN) has been rebranded and is now called Katalyse (KAT). Visit the Katalyse (FYN) page to learn more or read the official announcement. FundYourselfNow, (symbol FYN) has been around since Aug 4th, 2017 and operates without being controlled by a single administration, such as a central bank. FundYourselfNow cannot be mined for a profit like other coins, so therefore, to obtain FYN, you are able to buy through a currency exchange. FundYourselfNow are on social networks such as Facebook, Reddit and Telegram, so check them out to keep updated with the latest news. We don't have any wallets listed for FundYourselfNow yet, check back soon! 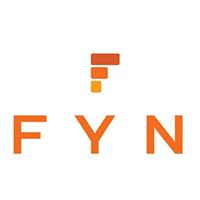 We don't have any debit cards listed for FundYourselfNow (FYN) yet, check back soon! We don't have any price charts listed for FundYourselfNow yet, check back soon!